I’d say yes if we were conducting the survey. 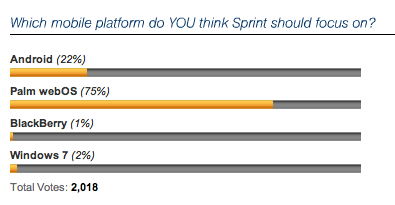 Sprint wants feedback from their customers and this poll is on their website. Sprint Palm Pre customers are dying for a new webOS device. This is a good opportunity for them to let Sprint know how they feel.